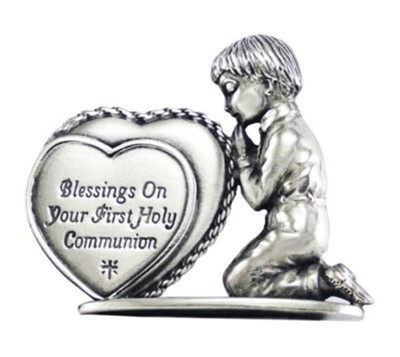 First Holy Communion figurine of solid metal with bright finish features boy praying with heart design engraved Blessings on your First Holy Communion. 3" tall; boxed. I'm the author/artist and I want to review Blessings On Your First Holy Communion, Praying Boy with Heart, Figurine.